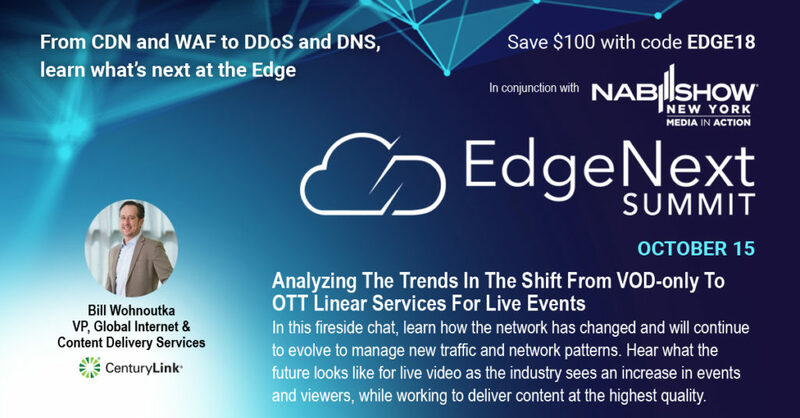 Held in association with NAB Show New York, the one-day EdgeNext Summit will focus on content distribution at the edge and all that is taking place with CDN, WAF, DDoS, DNS & more. With a focused lineup of companies showcasing all the new decentralized ways services are being brought closer to the eyeballs, you’ll hear how the Edge is improving the end-user experience. From the last mile to the last inches. What’s next at the Edge?